Potatoes are different to other crops in that there’s something wonderfully mysterious about growing them. With most other crops you can see your reward for your efforts throughout the season. You can see if the crop is a failure or a roaring success. Potatoes however, are hiding! It’s only months later when harvesting that the moment of truth is revealed. Did I water them enough?, was the soil right?, will they be big or small?, how many will there be?. Whilst we are working to clean up the rubbish on the farm, I decided I needed to plant something to build some morale and give us a glimpse of the wonderful life that we aspire to. So I created a potato patch. To arm myself with knowledge, I attended the Diggers Club potato workshop (which was fantastic), bought my certified seed potatoes and I was off. I planted 4 varieties; Spunta, Royal blue, Pink eye and my all time favourite Dutch cream. We harvested last weekend and it was like Christmas all over again. If I can recommend a great activity to do with kids, potato harvesting is it. In fact, I’m later told that my childish squeals could be heard from far away each time I came across another potato! 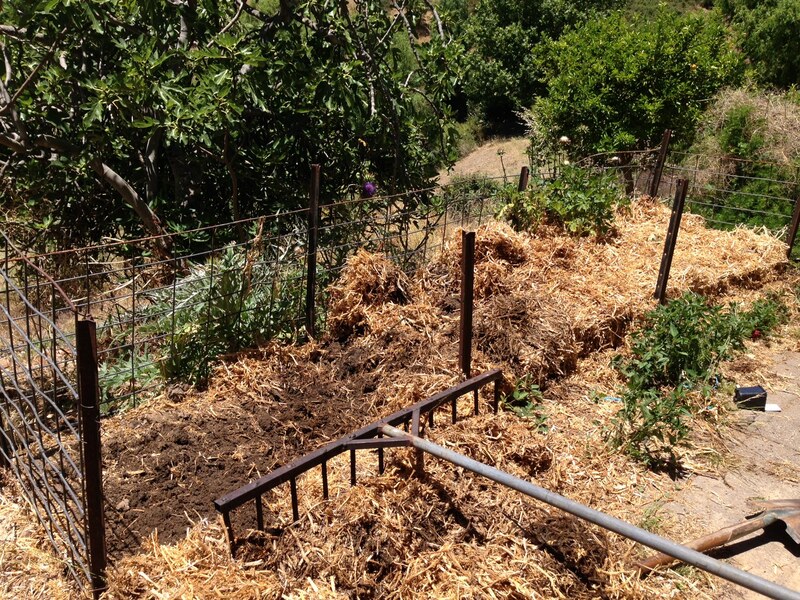 The giant rake we found on the property certainly proved useful. Sadly, my yield wasn’t fantastic. 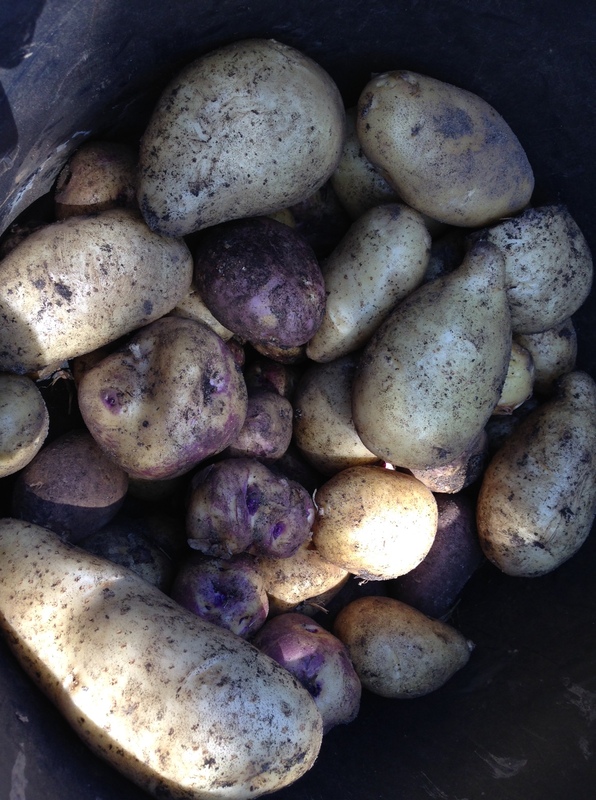 I only grew about 5 potatoes per plant, when I had expected about 10, but I got good size and oh my……they are the most delicious thing. Every time we eat one, we all remark ‘How will we possibly eat a store bought potato again.’ We are frequently eating them simply baked with a small dollop of butter and a sprinkle of fresh herbs straight from the garden. The flavour showcased proves that the simple things in life are the best.